Woman using laptop computer; image by Rawpixel, via Unsplash.com. When you hear the terms law clerk and paralegal, you may think they’re the same thing. They do sound similar. Both provide vital assistance to the attorneys for whom they work. However, there are some key differences between the two positions. These differences lie in their education and their ability to dispense legal advice. 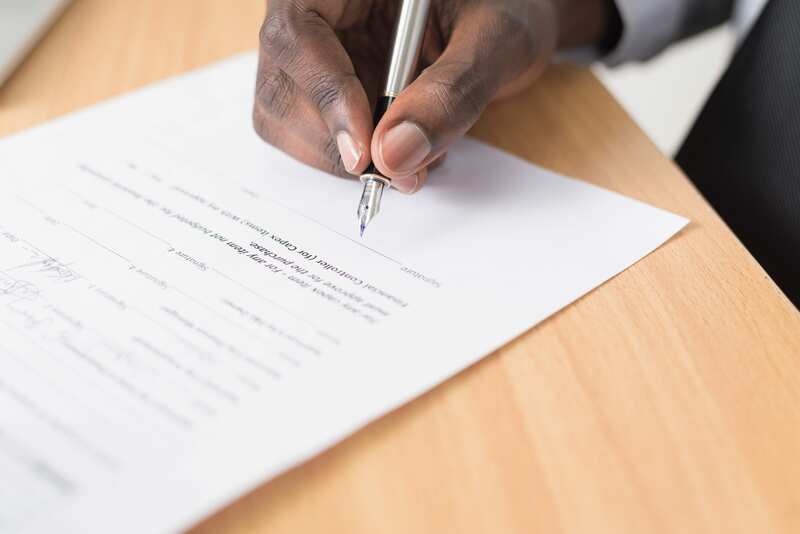 Man signing paperwork with a fountain pen; image by Cytonn Photography, via Unsplash.com. Paralegals typically work for law firms. They usually work under just a few attorneys, providing much needed administrative support. They assist the attorneys in handling the day-to-day functions of the law firm and its cases. Law clerks usually work for judges, although they can work for a law firm. They focus more on case law research and writing legal briefs for the judges or attorneys to review. Law clerks are typically either law school graduates or third-year law students. They have more than a rudimentary understanding of legal concepts and rules. They have completed the basic course load required in law school, which comprises the following areas: Criminal law, Constitutional law, Civil procedure, Family law, Ethics, Evidence. Law clerks also have completed courses on legal research and writing. They know how to provide case law research to judges. In fact, when judges are presented with unique or complex cases, their law clerk is usually the person who does all the case law research. They summarize their research in a brief and provide it to the judge with a recommendation on how the judge should rule in a particular case. Paralegals, on the other hand, have not attended law school. In fact, they don’t even need to attend college. Most paralegals complete a one to two-year certification program in which they learn how to complete the administrative tasks required in a legal setting. For example, they learn how to complete the following tasks: Draft complaints, motions, responses, etc., manage attorney’s schedules, communicate with the court staff regarding court dates, correspondence, etc., meet with clients and communicate with clients, and handle billing. Paralegals, while they do not have a law degree, do have specialized training that make them invaluable assets to law firms and solo attorneys. The biggest difference between a paralegal and a law clerk is the ability to dispense legal advice. Although paralegals often meet with clients, they are not allowed to give that client legal advice. They can answer procedural questions and help clients fill out forms (such as a case information statement) but they cannot tell a client how to proceed. They are not qualified to discuss a case’s merits with a client. These are things that only their supervising attorney should do. Law clerks, on the other hand, are qualified to dispense legal advice. A main function of law clerks is providing judges with summaries of law in order to help the judge decide cases. Not many people know that before a judge has even heard a single word from the parties to a case, he has an idea of how he is going to rule. This is due, in large part, to the advice provided by their law clerk. Since law clerks don’t typically work for attorneys, they aren’t often in the position of having to deal with clients. Whether a law clerk could provide legal advice to an actual client is a grey area. If they have completed law school, they can technically give legal advice. However, it’s always best to reserve this privilege to attorneys who have passed the bar exam. Editor’s note: In many jurisdictions, it is illegal for law school graduates to dispense legal advice unless they have passed the bar exam and are licensed. Regardless of their differences, both paralegals and law clerks provide a vital service to the legal field. They are the backbone of both law firms and courtrooms.